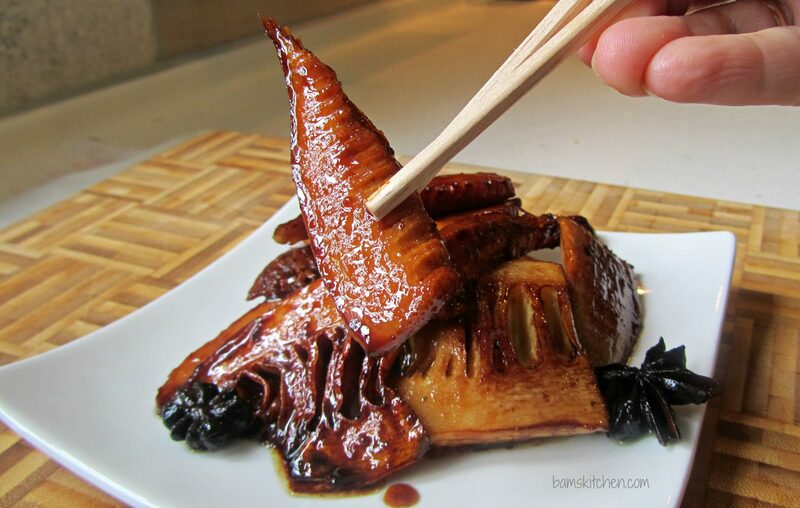 Crisp fresh bamboo shoots delicately braised in brown sugar, soya sauce, an essence of anise and a little heat from the Sichuan peppercorns is sure to delight your senses. The perfect day at the wet market for me includes finding some delightfully fresh produce, seeing smiles from the local vendors and sequestering some new lucky finds. I feel like I am on top of the world. I did not buy one thing that I was on my list but found something that is not always in season and that is fresh bamboo shoots. Fresh bamboo is in season spring to early summer so was delighted to see it at the wet market today. Fresh bamboo is really delicious and if prepared correctly it is crisp tender and very delicious and a million times better than the canned version. 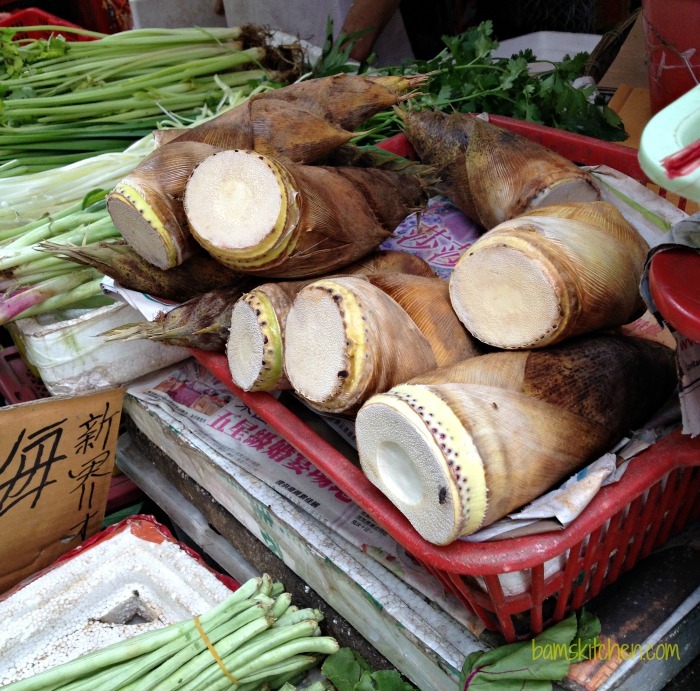 The bamboo shoot's flavor is mildly sweet and some say that it tastes similar to that of baby corn. I have cooked with baby tender fresh bamboo before but mature bamboo is a little more tricky to prepare and I was up for the challenge. 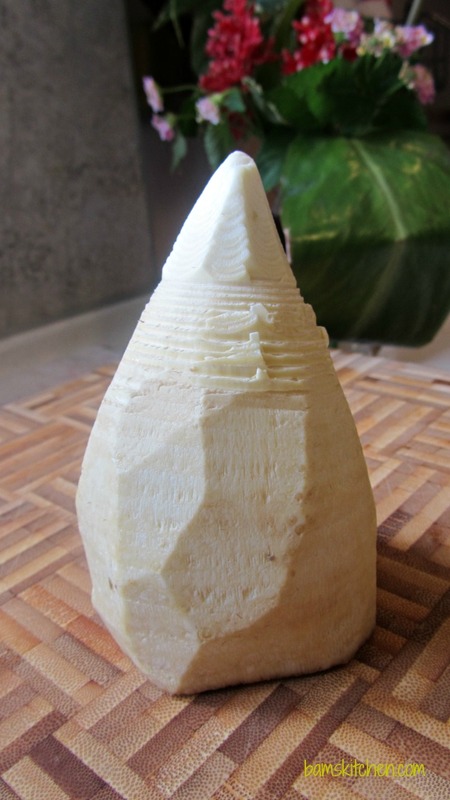 Did you know that mature fresh bamboo shoots are very bitter and cannot be consumed raw as they contain small amounts of cyanogens that may be toxic. 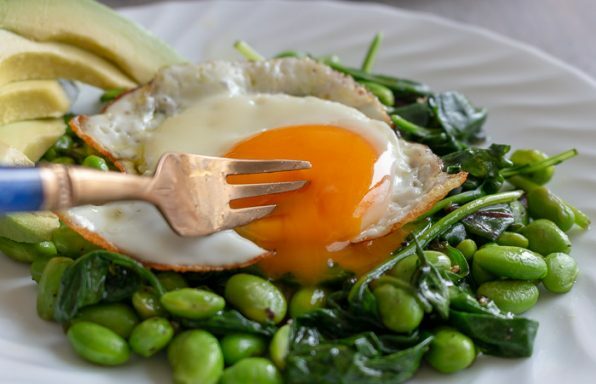 However, cooking destroys these substances making the shoots edible. The best way to remove these toxins is by first removing the outer skin and boiling them. I had the local Hong Kong wet market vendor remove the outer skin and prep my bamboo for cooking. I think this vendor has done this just a few times before. Check out this video I took while the vendor peeled and prepped this bamboo shoot in less than 45 seconds. I might still be working on shucking that fresh bamboo if the vendor was not so sweet to lend me a hand. I wanted to add some flavour to my crunchy bamboo shoots so after I did the traditional 20 minute boil. 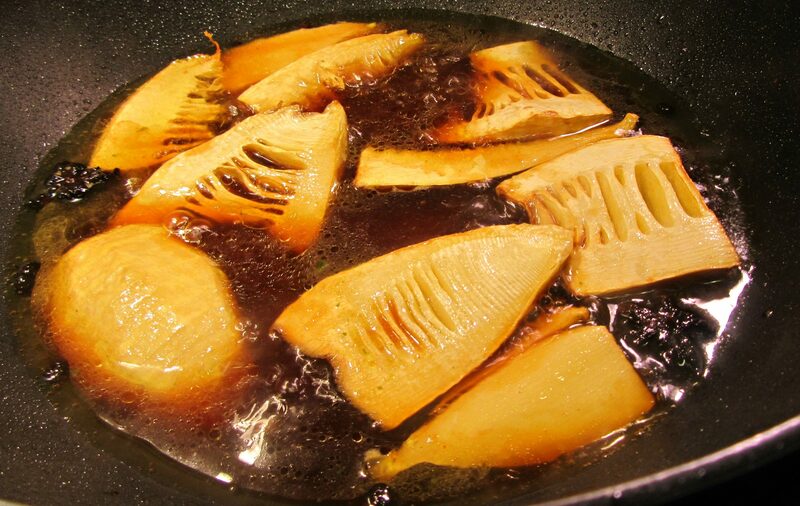 I then braised my fresh bamboo shoots in a little canola oil, Star Anise, Sichuan peppercorns, soya sauce and brown sugar. 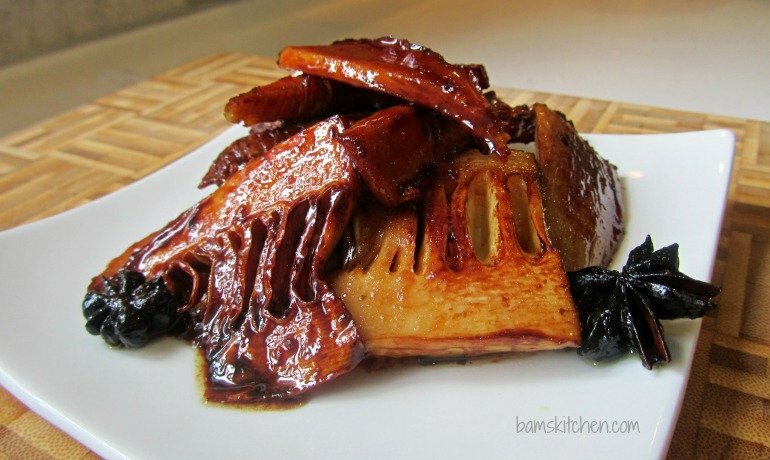 The Chinese name for braised bamboo shoots is 文火燜竹筍. Just one bite of these delicious braised fresh bamboo shoots and you will think you have walked into a traditional tea house. 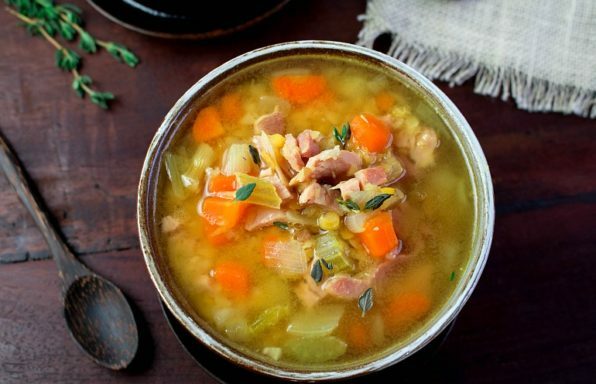 The aroma alone with have your neighbours knocking at your door waiting for dinner to be served. I just love that numbing flavor of the anise and Sichuan peppercorns. It is so much more flavorful than just the burn from regular chilis, so I hope you do give it a try. 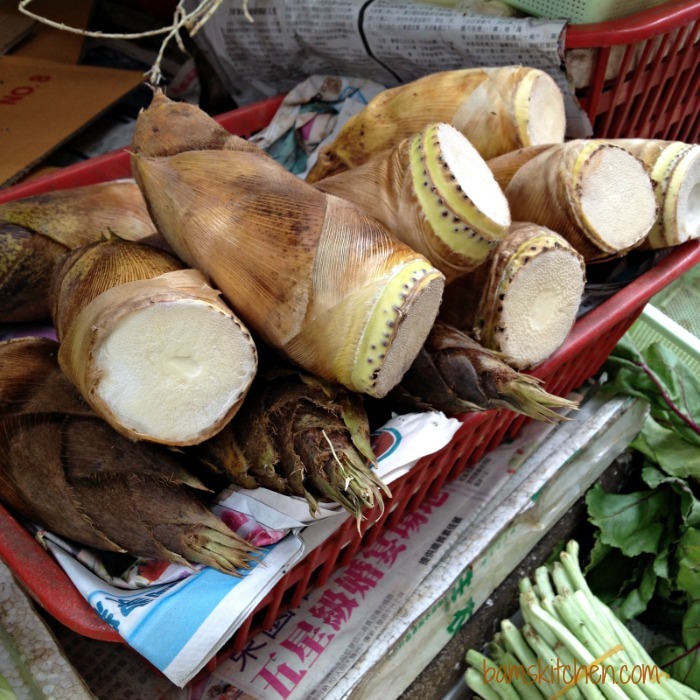 If you are not living in Asia, fresh bamboo shoots may be a difficult find. 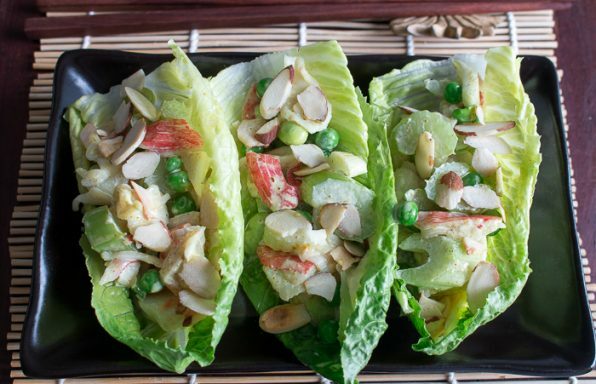 However, you can also modify this recipe to use canned bamboo shoots. 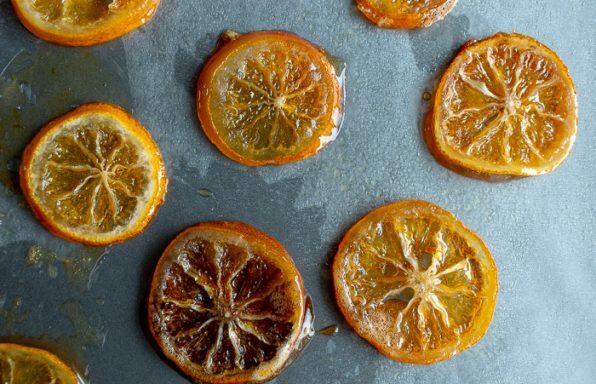 Just skip the peeling and boiling step and proceed directly on to the delicious braise with the brown sugar, soya, anise and Sichuan peppercorns part of the recipe. You will need to reduce the amount of vegetable broth to 1/4 cup and reduce the time of the braise to about 5 minutes to keep the canned bamboo shoots nice and crunchy. If diabetic, you can exchange the brown sugar with a sugar alternative of choice but you may need just a touch of cornstarch to thicken up the sauce at the end of the cooking process. 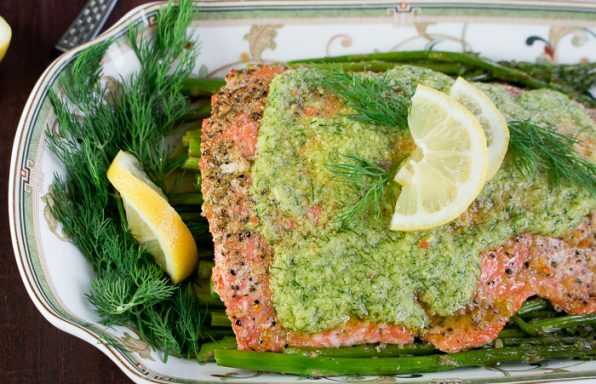 I use tamari sauce to keep it gluten-free. If you cannot find star anise then please substitute 1 teaspoon of 5 spice powder. I hope your travels bring you to Asia one day, and if they do, please make sure to get the wet markets on your agenda. 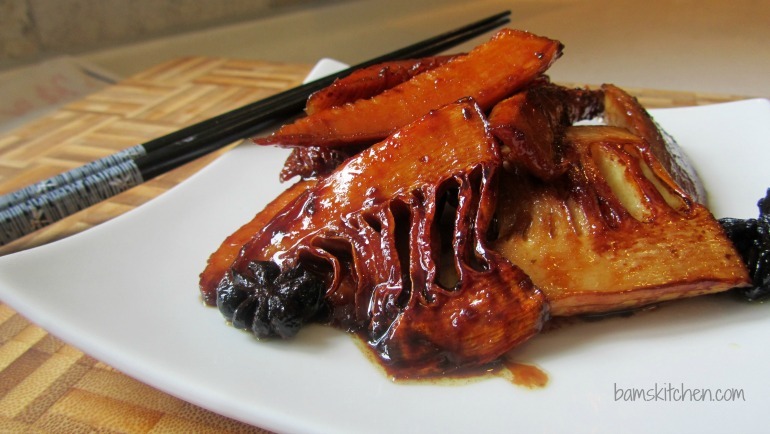 Crisp fresh bamboo shoots delicately braised in brown sugar and soya sauce with an essence of anise and a little heat from the schesuan peppercorns is sure to delight your senses. 2Place the prepared bamboo into a medium pot and cover with enough water to boil. Do not salt the water as this may toughen the bamboo. Cover with a lid and gently boil for about 20 minutes or until you can put a knife into the bamboo. Rinse bamboo with fresh water and drain. 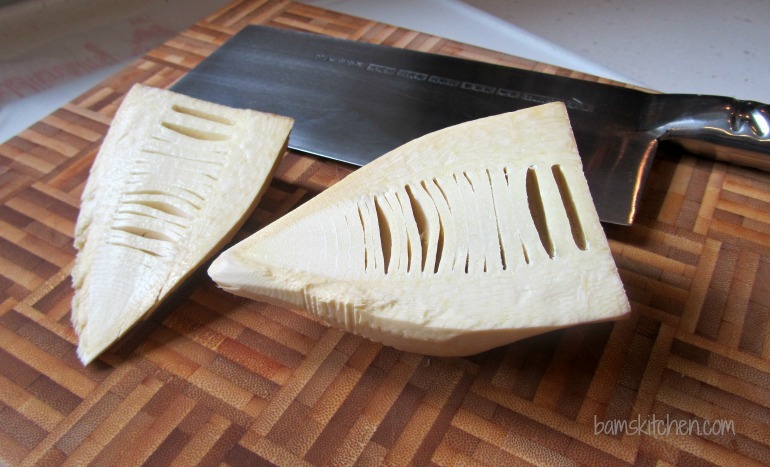 3Cut bamboo into large pieces. 4In a wok place in your canola oil and add the anise and Sichuan peppercorns until aromatic. Add the cut bamboo and just stir fry until the edges get a slightly browned. Add the gluten free vegetable broth, tamari (soy) sauce, brown sugar and shaoxing wine. Place a lid on top of your wok. The lid does not have to cover the whole wok it just needs to be able to cover the bamboo and the liquid. Braise the fresh bamboo in liquid for about 20 minutes or until you can easily cut it with a knife but is is still delightfully crunchy. Stir occasionally to prevent sticking. 5Diabetic alternative directions: Substitute brown sugar with your sugar alternative of choice. Because your are not using brown sugar, your sauce will not thicken up like it would with brown sugar. After about 20 minutes of braising assess how much liquid you have left in the pan. In a separate little cup, mix 1 teaspoon of corn starch with a little bit of water. Turn your wok burner up higher so that the remaining liquid is boiling and slowly add the cornstarch a little at a time until it starts to thicken up. 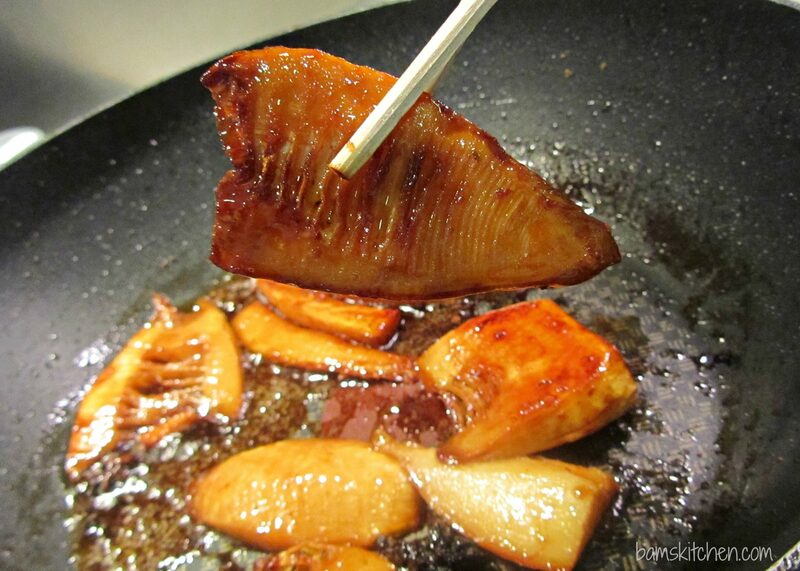 Stir and remove from burner once the braising liquid coats the back of your spoon. 6Drizzle your braised bamboo with a little sesame oil if desired or garnish with a little chopped garlic chives and serve. 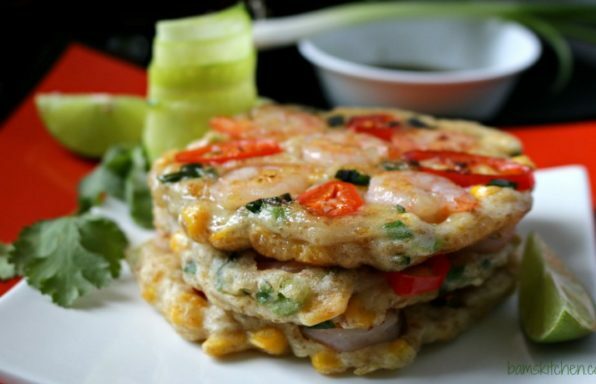 It is ready to eat just as is or can be used in another Chinese recipe, such as my Tofu Veggie Pancakes, that is coming to a monitor your way soon.